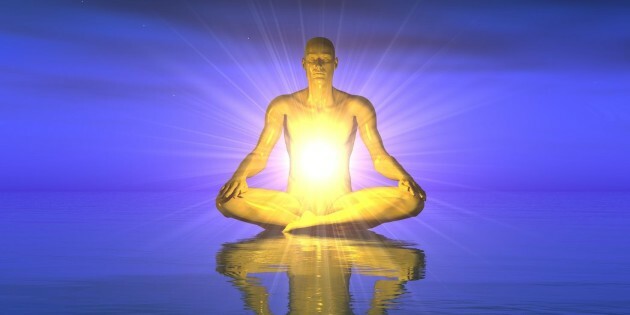 See and feel that every movement of your life is significant and possesses a tremendous power. See and feel that every single event of your life has been preparing you for this moment, so that you can gather all your strength to soar. See and feel that these events weren’tt sacrifices but long and successful processes to prepare you for what’s coming. See and feel the huge wings on your back that feed on the experiences you’ve gained and the power resulting from them. Celebrate the fact that you can finally strengthen your wings. Now is the perfect moment. It couldn’t have happened at a better time and under better circumstances. The timing is just perfect. All these events possess wisdom and they keep adding up. It’s time to forgive yourself. Everything is the way it’s supposed to be. You’ve taken all your steps to the best of your knowledge. It’s time to recognize your achievements and celebrate yourself. The future holds wonderful things for you. The most exciting period of your life is about to start when all that’s happened will finally make sense. It’s privilege that you’re alive in this amazing time of humanity when everything is about to change. This change will demand slow and arduous work from everyone involved. I know you’ve already made a lot of sacrifices, but nothing has been in vain! Each step you’ve taken has greatly contributed to this miracle. Earth will soon enter a new era. Every singe person who can recognize and accept their destiny to soar and follow their star will be needed. You gain the ability to soar not to leave your earthly existence behind, but to take others along this amazing journey and show them the exceptional power slumbering within them. We’re all soaring souls on this planet, but some of us have forgotten that. Your mission is to remind them of it by allowing them to see your wings and your ability to use them. Be an example to follow. Each step you take should serve as an example, inspiring people to build the world you wish to see around you. Awakening souls will perceive you as children perceive their parents. They will follow your words and your actions. Whatever you do will be the law. Be conscious of the fact that with every word and action of yours, you’re creating a new reality for the awakening generation with new laws and opportunities. If you don’t like the world around you, then change it so that you can live your life true to the light radiating from within. You have nothing to do but follow your brilliant star, as the flap of your wings will transform the world you live in. If you wish to see change around you, start by accepting the responsibility and honor reserved only for leaders. Be wise and humble. Think of all those turning to you for help as your children even if they don’t appear to be speaking the same language. It’s time to pay it forward. It’s time to return the favors you got a few years ago when, as an awakening soul, you were being helped and taught. Each year has a learning curve, a plan for personal growth, that you can familiarize yourself with through the symbols of numbers. They offer you guidance on what you need to pay attention to in the given year. If you read this book every single month, taking its guidance into consideration while doing your practical tasks, I’m sure your confidence will start skyrocketing. No longer will you have to blame yourself for anything, as you’ll understand that things happen so that you can learn from them, not because life wants to punish you. I’ve written you a new book, entitled “2016 The Year of Soaring”, which will give you help, guidance and reaffirmation so that you know every day for the next one year that YOUR LIFE IS HEADED IN THE RIGHT DIRECTION. From this 170 page eBook, you can learn about the changes that await you in the year 2016. Each month I’ll guide you through the energy transformations of the upcoming year and thus you won’t ever feel lost again. If you know what energies surround you, you can co-operate with them and shape your life. These energies will be your friends, supporting you along the way. With the help of this book, I’ll also stay with you all year long, giving you guidance and reaffirmation so that you’ll know your life is headed in the right direction. Péter Schilling is the author of an extremely successful personalized numerology report, entitled The Manual for Your Life - sold over 25.000 copies worldwide -, as well as the Numerology Forecast Magazine. His messages and guidance are being followed by more than 100.000 people on a weekly basis. Not many people know that Péter is a qualified electric engineer and that he used to work as a software developer. He was only 18 years old when he encountered spiritual philosophies for the first time. His life took a huge turn, when, in 2002, he enrolled in a university and began learning about spirituality, discovering tarot as well as numerology, the symbolic system of the advancement of human consciousness. This experience changed his worldview forever. He decided to do an experiment and started observing himself and his own life, focusing on how various energies defined by specific periods in numerology affected him. Even the first observations he made brought about stunning discoveries. 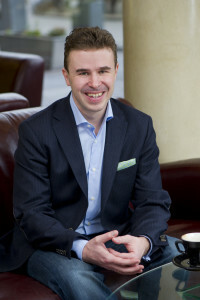 Since 2008, Péter has been sharing these discoveries with his readers in practical guides. 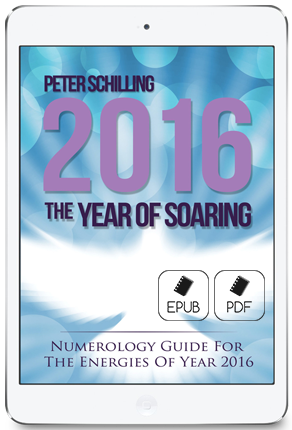 Now, in his newest book entitled: “The Year 2016 – The Year of Soaring”, Péter is offers his readers a yearly forecast.